C.M. Muller’s doppelgänger anthology, Twice-Told: A Collection of Doubles was released last month. It’s a beautiful book and I’m very proud to have a story included in it. 42, as we know, is a significant age, and on this birthday, Mark (with seemingly plain backstory of marriage and two daughters back home) is given, by a friend, the gift of being hitchhiked as it were by a new self, via a ritual – which is compellingly imparted to us – within the genius loci of the eponymous replacement of an old church, a new baptism as it were where the water is hauled by Mark himself from a well, heavy by counterweight of his perhaps not-so-plain backstory’s ill-threaded pulley from the past, and the last line of this work is a particularly frightening one in the context of not only this work but also of the whole book so far. You will not forget that last line, I suggest. Thanks Des – I’m happy with that summary! I found it pretty creepy to write, too. You can get hold of Twice-Told: A Collection of Doubles here. 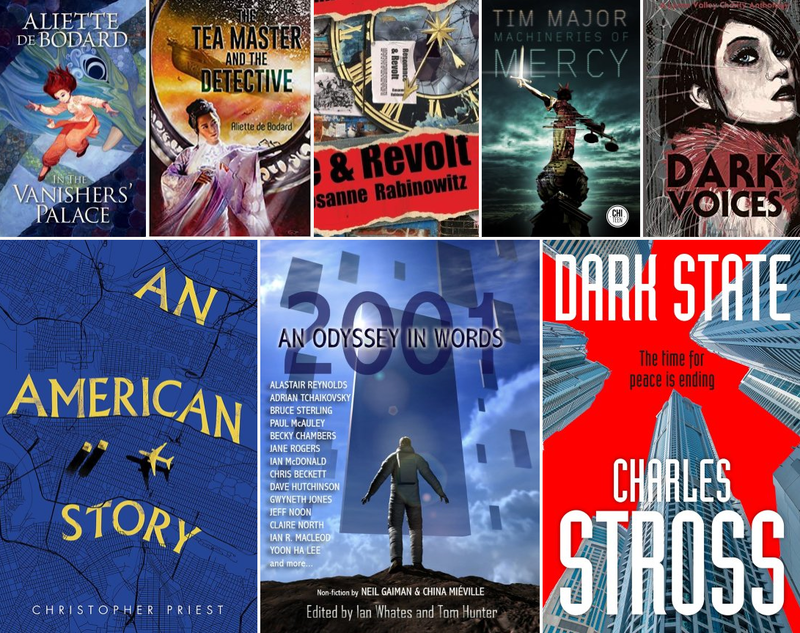 Over the weekend the full programme for the new SFF literary festival, CYMERA, was announced. The festival will take place on 7–9 June 2019 in Edinburgh, and features some amazing guests, including Marian Womack, Tade Thompson, Gareth L. Powell, Adrian Tchaikovsky, Charles Stross, Christopher Priest… and many more – it’s a heck of a list. And Claire North! And me! I’d been told a while back that I’d be on a panel with Cat Webb (otherwise known as Claire North), but I’d assumed there’d be a bunch of us onstage. Instead, the event is the two of us in conversation – and while this is SO cool, I’m also feeling SUCH anxiety. I love Cat’s/Claire’s books. We’ll be chatting about unequal societies in fiction, related to my upcoming novel SNAKESKINS (in which a small group of Britons have the power to shed their skins every seven years, rejuvenating in the process) and the Claire North novel 84K (in which anyone can get away with any crime, if they have the money to pay for it). 84K is a superb novel and if you haven’t already read it, you must. The event will be on Sunday 9th June at The Pleasance in Edinburgh. There are more details on the CYMERA website. I was pleased and surprised to find that my story ‘Throw Caution’ has been longlisted for the BSFA Awards. It was first published in Interzone #276 edited by Andy Cox. It’s a terrific list of nominees, with lots of writers who I now consider friends – I’m very proud to be listed alongside them. On his Scattershot Writing blog, James Everington included ‘The House Lights Dim’ (from Dark Lane Anthology #2, Dark Lane Books) in his list of his favourite short stories read in 2018. Finally, and now looking forward to 2019, I recently learned that my story ‘Concerning the Deprivation of Sleep’ has been picked up by editor C.M. Muller for Synth: An Anthology of Dark SF. There’s a list of my upcoming short story publications here, which includes a story in one of Muller’s other projects, Twice-Told: A Collection of Doubles, due out in February. SF Showcase recently interviewed me about my YA novel, Machineries of Mercy, as well as the upcoming Snakeskins and even a glimpse of the novel after that. The conversation covers the influence of John Wyndham, the original Westworld film and one of my favourite Doctor Who stories, ‘The Deadly Assassin’. Click here to read the interview. 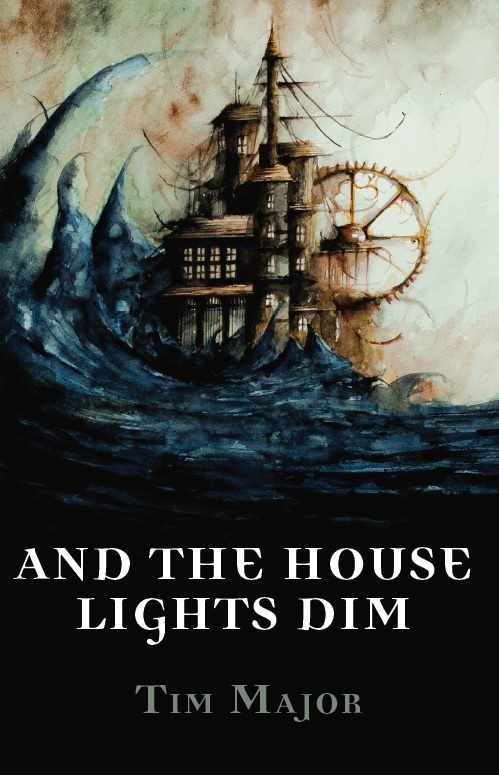 Here’s a lovely start to the new year: Luna Press have unveiled the cover of my short story collection, And the House Lights Dim, which will be published in July 2019. The wonderful cover image is by the insanely talented Daniele Serra.